Michele Riondino (born 14 March 1979) is an Italian actor. The Past Is a Foreign Land is a 2008 Italian neo-noir film directed by Daniele Vicari. It is based on the novel with the same name written by Gianrico Carofiglio, who also collaborated to the screenplay. 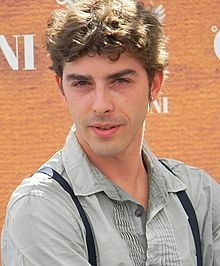 It entered the competition at the 2008 Rome International Film Festival, in which Michele Riondino was awarded best actor. International Rome Film Festival is a film festival that takes place in Rome, Italy, during the month of October. The actual complete name in Italian is Festa del Cinema di Roma. The 67th annual Venice International Film Festival held in Venice, Italy, took place from 1 to 11 September 2010. American film director and screenwriter Quentin Tarantino was the head of the Jury. The opening film of the festival was Darren Aronofsky's Black Swan, and the closing film was Julie Taymor's The Tempest. John Woo was awarded the Golden Lion for Lifetime Achievement prior to the start of the Festival. Fort Apache Napoli is a 2009 film directed by Marco Risi about the brief life and death of journalist Giancarlo Siani, who is played by Libero De Rienzo. Little Sea were an Australian pop-rock band formed in late 2013, signed to Sony Music Australia. Based in Sydney, Australia, the band consisted of Andy Butler, Oliver Kirby (guitar), Dylan Clark, and Leighton Cauchi (drums). The Band have three extended plays, 'Wake the Sun' (2014), 'With You, Without You' (2015), and 'On Loop' (2016). Little Sea were managed by Luke Girgis of Be Like Children. Ten Winters is a 2009 Italian romance film directed by Valerio Mieli. It is based on the novel with the same title written by Mieli himself. The film premiered at the 2009 Venice Film Festival. For this film Mieli won the David di Donatello for Best New Director and the Nastro d'Argento in the same category. Michele Placido is an Italian actor and director. He is best known for the role of Corrado Cattani in the TV series La Piovra. Rai 1 is the flagship television channel of Rai, Italy's national public service broadcaster, and the most watched television channel in the country. It is a general interest channel, mainly focused on shows, movies and public service; its direct competitor is Mediaset's Canale 5. Giuliano Montaldo is an Italian film director. Inspector Salvo Montalbano is a fictional detective created by Italian writer Andrea Camilleri in a series of novels and short stories. Gianrico Carofiglio is a novelist and former anti-Mafia judge in the Italian city of Bari. His debut novel, Involuntary Witness, published in 2002 and translated into English in 2005 by Patrick Creagh, was published by the Bitter Lemon Press and has been adapted as the basis for a popular television series in Italy. The subsequent novels were translated by Howard Curtis and Antony Shugaar. Sergio Rubini is an Italian actor and film director. 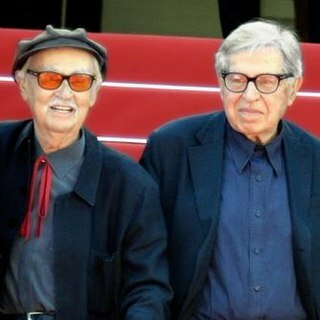 Paolo Taviani and Vittorio Taviani, collectively referred to as the Taviani brothers, were Italian film directors and screenwriters who collaborated in productions of note. Francesco Carofiglio is an Italian architect, writer and director. Son of writer Enza Buono and brother of writer and member of the Italian Senate Gianrico Carofiglio. Luca Zingaretti is an Italian actor, known for playing Salvo Montalbano in Inspector Montalbano mystery series based on the character and novels created by Andrea Camilleri. Zingaretti is a native of Rome. He is the older brother of politician Nicola Zingaretti. Claudio Gioè, is an Italian actor of the cinema, theatre and television. Elio Germano is an Italian actor. He is the recipient of many accolades, including a Cannes Film Festival Award for Best Actor. Marco Turco is an Italian director and screenwriter. Chiara Francini is an Italian actress. Howard Curtis is a British translator of French, Italian and Spanish fiction. Peppino Mazzotta is an Italian actor, known for playing police officer Giuseppe Fazio in Il commissario mystery series based on the character and novels created by Andrea Camilleri. Mazzotta is a native of Domanico. The Young Montalbano is an Italian television series produced and broadcast by Radiotelevisione Italiana (RAI) in 2012 and 2015. It is a prequel to the popular series Inspector Montalbano, based on the detective novels of Andrea Camilleri, set in the fictional town of Vigàta, Sicily. The filmography on immigration in Italy is a phenomenon started with the arrival of the first migratory flows in Italy, since the 1990s. Sara Serraiocco is an Italian film, stage and television actress. The 75th Venice International Film Festival was held from 29 August to 8 September 2018. Mexican film director Guillermo del Toro was named as the President of the Jury. First Man, directed by Damien Chazelle, was selected to open the festival. Guillermo del Toro was named as the Jury President for the main competition section, with Michele Riondino hosting the festival. 1 2 Pellegrini, Francesca. "Michele Riondino. Il mio passato, per voi, non è più una terra straniera". MyMovies (in Italian). Retrieved 5 May 2014. 1 2 3 Danielsen, Shane (January 31, 2010). "Berlin Film Festival: Shooting stars 2010". Variety . Retrieved 5 March 2014. ↑ "Gli altri riconoscimenti Il "L.A.R.A" degli artisti a Riondino per "Il passato è una terra straniera"". Il Tempo (in Italian). November 8, 2010. Retrieved 25 February 2014. ↑ Gemmi, Nicoletta (8 August 2010). "Venezia: Il Premio Biraghi a Nicole Grimaudo e Michele Riondino". Primissima (in Italian). Retrieved 8 May 2014.